Accept payments on Invoice form on the fly. Quickly choose from a secured listing of predefined customer charge account cards, such as Visa, MasterCard, AMEX, etc. Accept multiple forms of payment at the time of the sale. Quickly calculate change due for cash payments. Immediate display of why a customer is on Credit Hold, including details such as: total past due, total outstanding balance, # invoices past due, # days past due of the oldest invoice, etc. Instant access to all details of customer credit, open invoices, aging, etc. View a summary of outstanding invoices and credit memo’s for each unique customer account. Auto calculate and apply payment discounts and/or user defined payment discounts. Auto apply a lump sum payment to a group of invoices–oldest to newest. Accept payments in cash, check, credit card or other. Print reminder collection/dunning letters, with all account invoices and payment details auto inserted into the collection letter. Schedule and track collection calls, collections notes, etc. Various options to limit which customers will receive a statement. Ability to print statements displaying only the Open Items or displaying all account details using the Balance Forward option. An option to group statement activity, by shipping address–one a single statement. Options to auto print messages, based # days past due, amount past due, etc. An option to auto print a copy of outstanding invoices to insert with the customer statement. View a listing of each past due invoice, including amount past due, # days old, how much the finance charge will be, etc. Instantly view the associated Invoice or prepaid Sales Order. 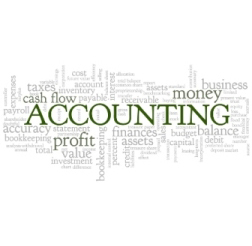 Print many Accounts Receivable reports for close monitoring. Print Aged Summaries by type of receivable. Print reports of Invoices due in selected time period. Create AP Bills manually, or auto fill most details by linking the Bill to a related PO. Depending on user preferences, auto Create an AP Bill when a PO to a Supplier is received in full. (To help track and project cash flow needs). View the status (received/not recieved) of an associated PO from the AP Bill screen. View the PO with 1 click. Auto reconcilation of whether or not the Bill matches with an associated PO. Auto fill of the Payment Terms, Due Date, and default GL Debit and Credit account (based on the Supplier or Vendor selected). Option to allocate the GL debits across multiple GL Accounts. Apply multipile AP Bills to 1 PO or mutliple PO’s to 1 AP Bill. Auto updating of Inventory Costs associated to a Bill and PO when the PO item price is updated (if the item is a special order). Auto calculation of AP Bill discounts, when applicable. Ability to enter a ‘Projected Payment Date’ for more realistic cash flow analysis (vs just analysis by the ‘Due Date’). Search for 1 (or a group of) AP Bills by multiple searching methods.